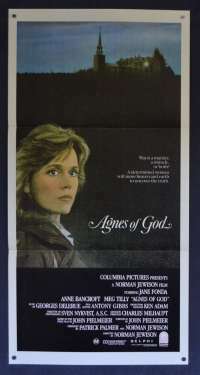 Agnes of God is a 1985 American mystery drama film directed by Norman Jewison, written by John Pielmeier, and based on his play of the same name. Starring Jane Fonda, Anne Bancroft and Meg Tilly, the film is about a novice nun who gives birth and insists that the dead child was the result of a virgin conception. A psychiatrist (Fonda) and the mother superior (Bancroft) of the convent clash during the resulting investigation. 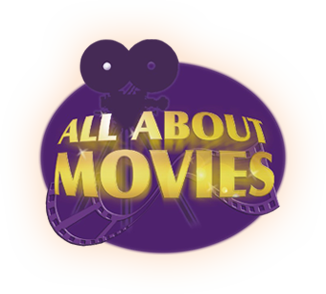 The film was nominated for Academy Awards for Best Actress in a Leading Role (Bancroft), Best Actress in a Supporting Role (Tilly), and Best Original Score. Tilly also won the Golden Globe for Best Supporting Actress. Edge Wear / Stains: No Stains, 1cm tear from edge on left hand cream vertical border (just above bottom issued fold). Once matted and framed this would not be seen. Does not effect artwork.